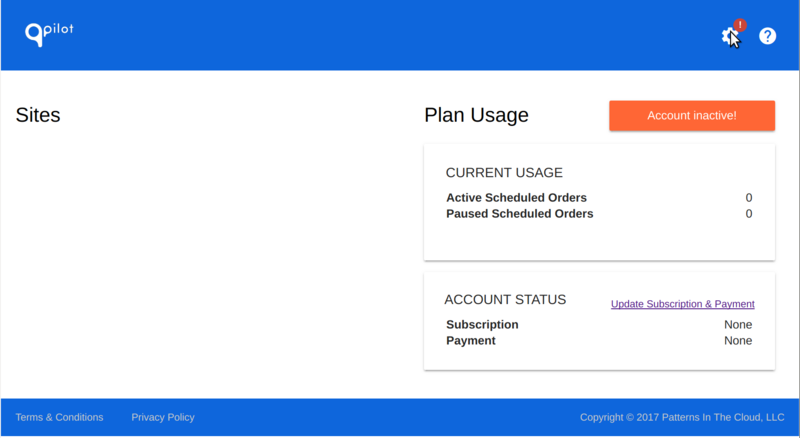 In order to connect Autoship Cloud to its hosted cloud service, QPilot, you'll need to register a QPilot Merchant Account. 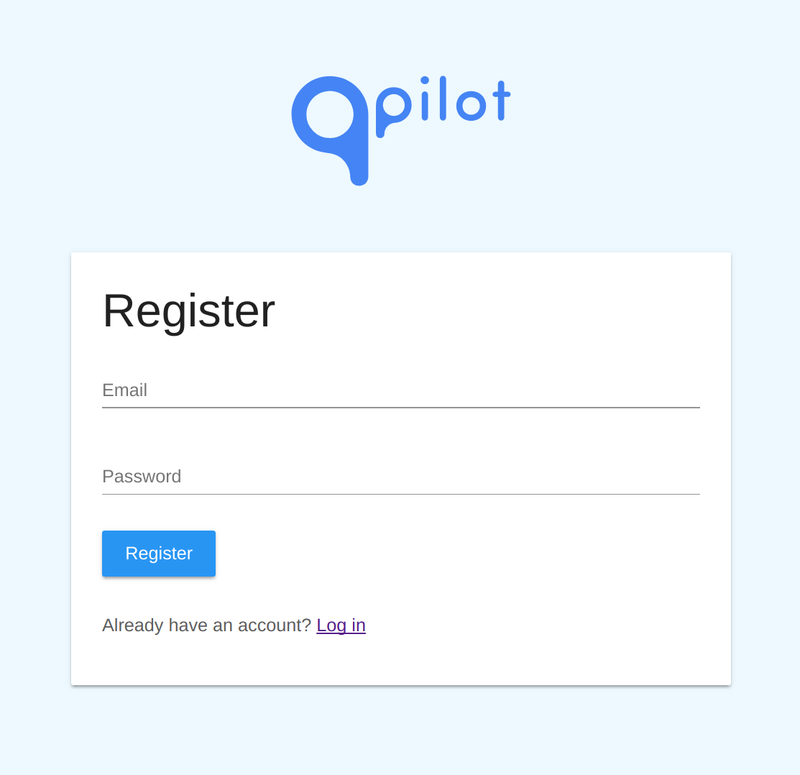 Navigate to the QPilot Merchant Site at https://merchants.qpilot.cloud/login/register and complete the registration process by entering your email address and creating a password. 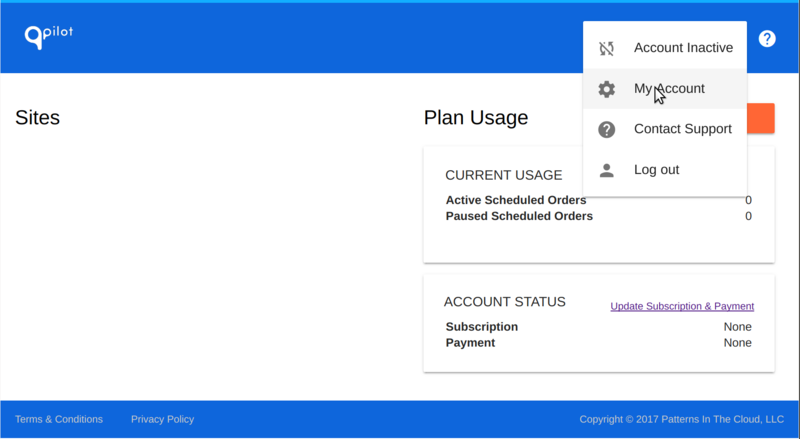 Navigate to the Apps tab, locate the WooCommerce App and click "Connect". You will now have a new Client ID and Client Secret. For security reasons, you cannot retrieve the Client Secret at a later time. If you need to create a new key, simply delete the old one and use the new Client Secret. 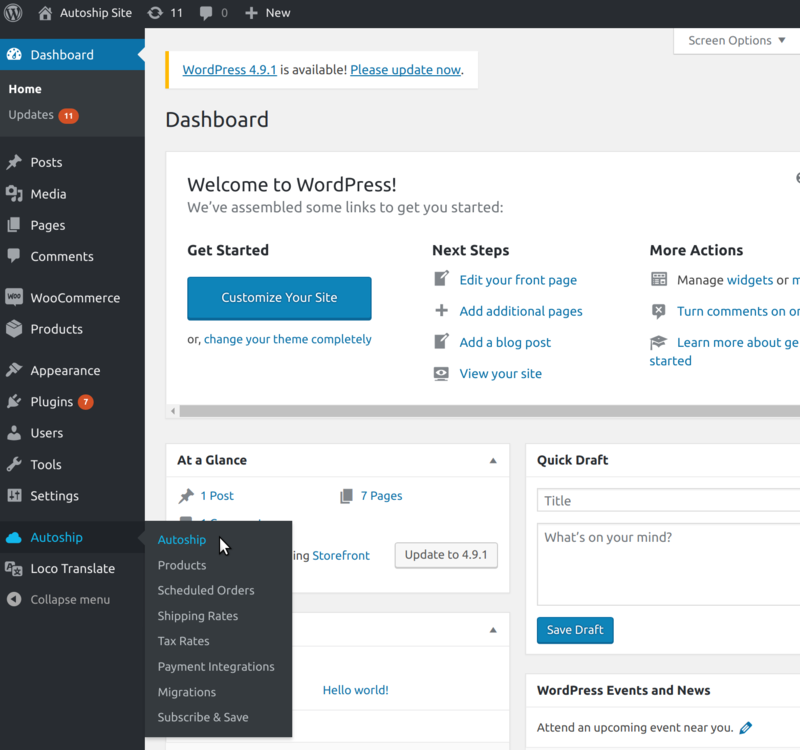 Log in to the WP Admin Dashboard in your Wordpress site. Navigate to the Autoship tab. 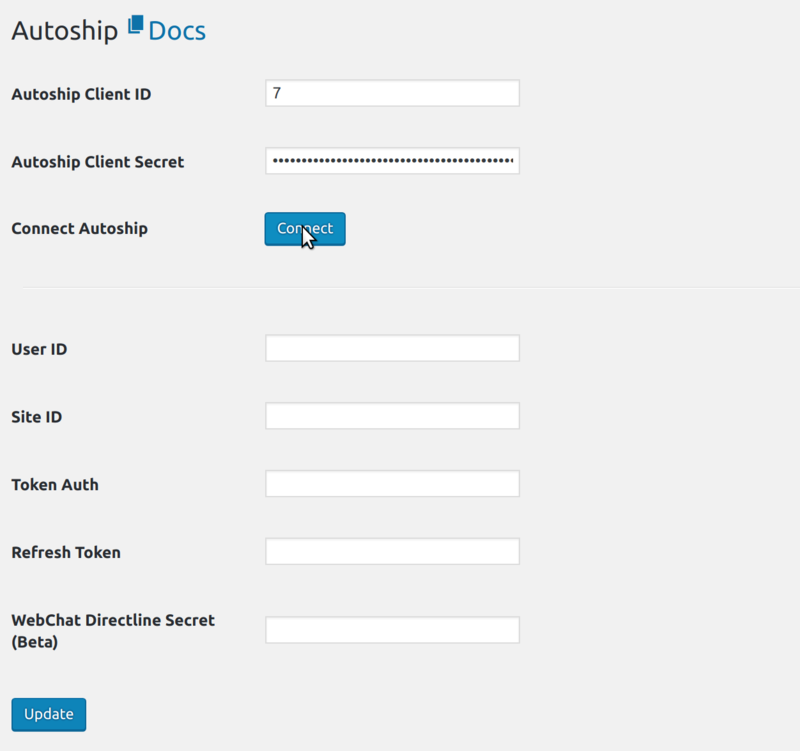 Enter your Client ID and Client Secret. Click the Update button. 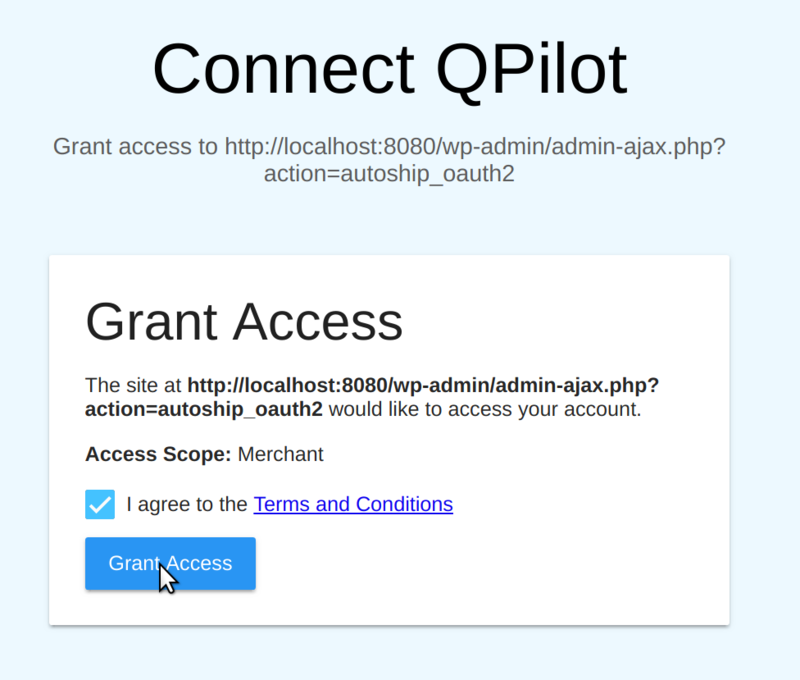 Click the button to Connect. This will begin the authorization process. 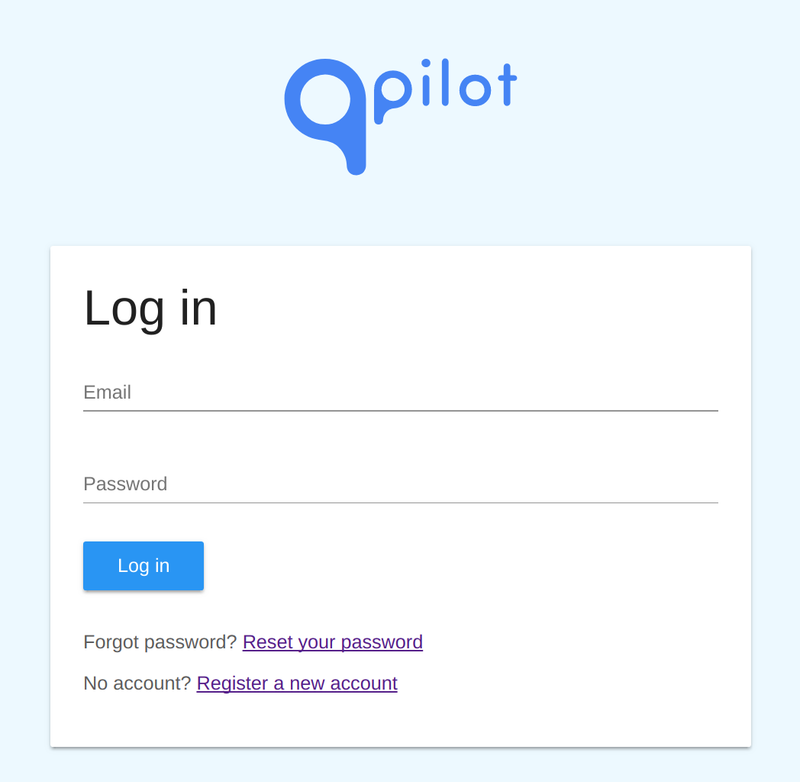 Log in to your QPilot account. 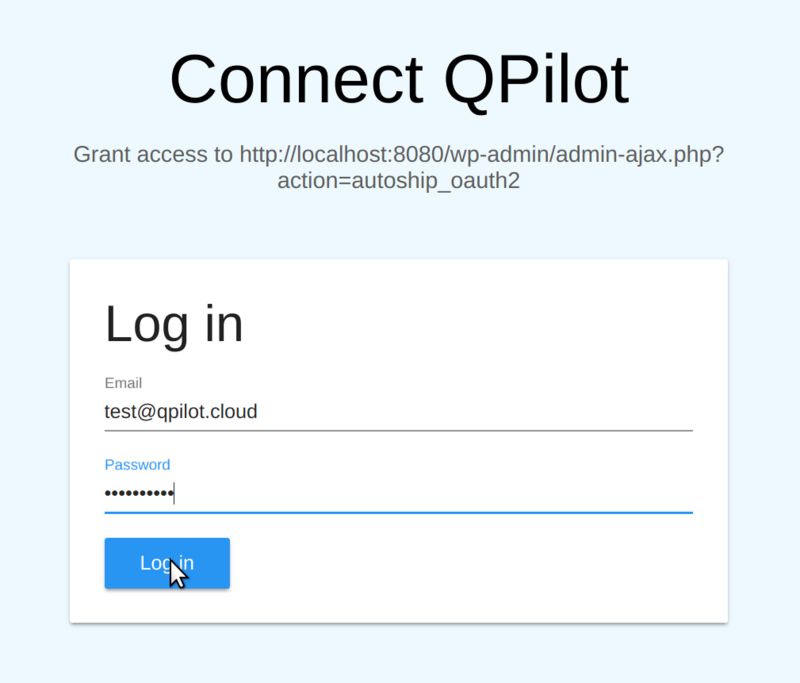 Grant access for your site to connect to QPilot. 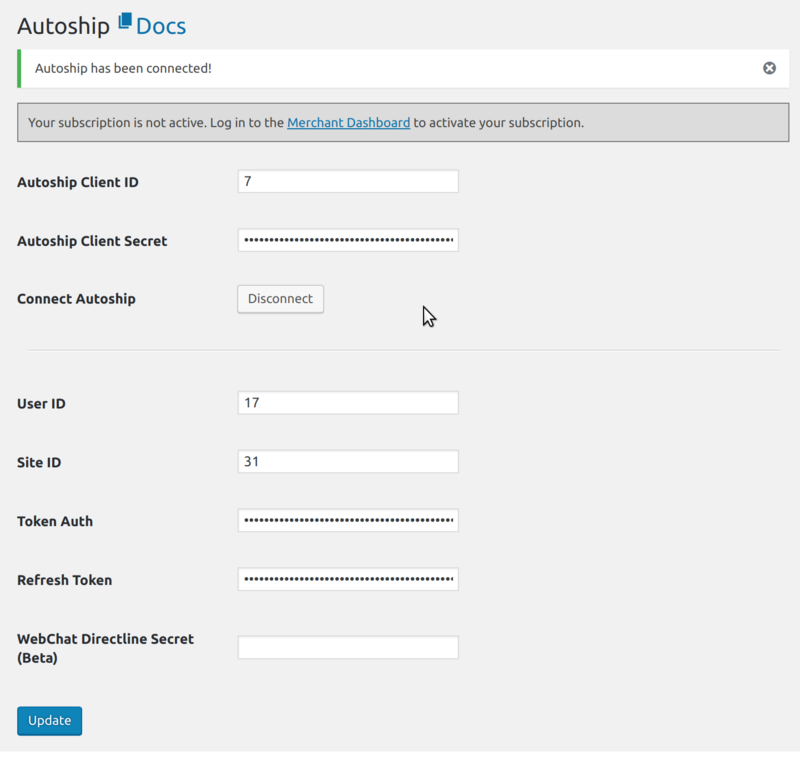 You should see a message indicating that Autoship Cloud has been connected successfully.